One would naturally assume that manufacturers specifications are accurate. When it comes to drivers, it appears this is not often the case. SEAS specified the ER18 Vas as 32 Liters. 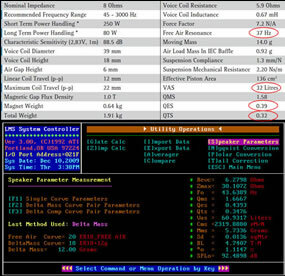 Measurements with LMS indicates Vas=60.9 Liters. Needless to say, adopting SEAS Vas would obviously lead to erroneous box tuning. 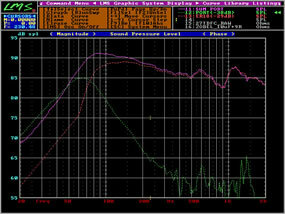 For Vas=60.9L, the optimum Bass Reflex tuning is a 38L box. This is much too large for a Bookshelf. I decided to load the ER18 in a 15L box instead. 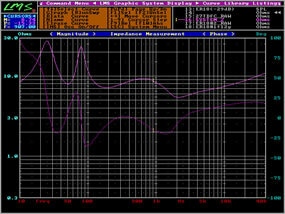 The outcome is a higher F3 (45Hz) with a slight hump at 150Hz. I have no qualms with this as it gives the upper bass a very light 2dB boost. 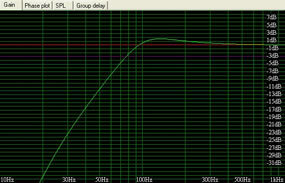 Another issue with the ER18 is the pronounced rising response above 500Hz. 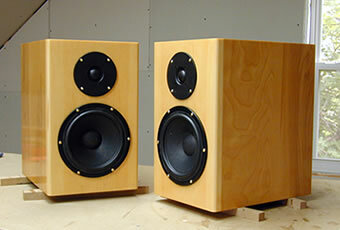 If left unattended, the midrange will be overly emphasized, resulting in a rather tiring listening experience. After some testing, I settled on a Baffle Step Compensation of 5dB. Together with the upper bass boost, it has the right "bounce" in the music. 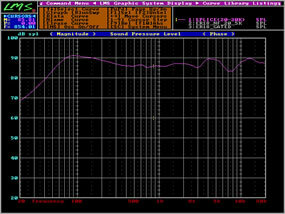 The violet plot on the right is the response of the ER18 in a 15L Bass Reflex together with the port and Baffle Step Compensation. 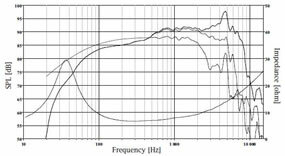 Frequencies beyond 500Hz should be ignored as they are inaccurate. With the contour of the ER18 resolved, I decided to cross the SEAS 27TDFC slightly lower at 2,200Hz. This will add a bit of sparkle to the vocals. Crossover is Butterworth - 2nd order for Low Pass, 3rd order for High Pass. The red plot on the right is the Gated Summed Response of the ER18 with the 27TDFC. 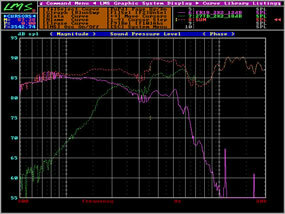 Summing is optimized as there are no signs of phase cancellations on either side of the crossover frequency. 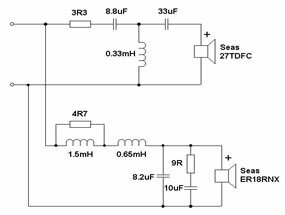 The final plots below are the Frequency Response of the Starling and the Impedance. What is most striking with the Starling is the buttery smoothness. Not that the other speakers sounded strained. Just that the Starling is very relaxed in its delivery. Perhaps there is some truth in the "low distortion" mechanism of the ER18 afterall. The Starling is certainly in a class of its own. If budget permits, this is one speaker I highly recommend. You will not be disappointed. 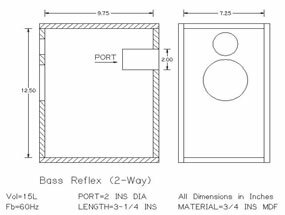 Enclosure Internal Dimensions (WHD) 7-1/4" x 12-1/2" x 9-3/4"